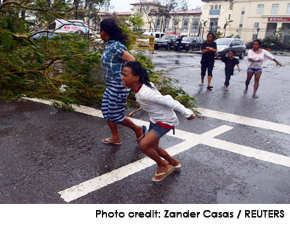 One of the most powerful storms ever recorded, Super Typhoon Haiyan, crashed across the central islands of the Philippines. Your help is needed to make a difference in affected areas. Through partnerships and as a member of ACT Alliance, Lutheran Disaster Response is responding to the most urgent needs of food, water, clothing, shelter, sleeping material and medicine. Gifts designated to "Pacific Typhoon Response" will be used in full – 100 percent – to help with immediate and long-term need. Your generous offerings of prayer and financial support will help those affected as they journey to recover. Write " Pacific Typhoon Response "